There is much to recommend waiting until the shorter days before setting off along the Carp Cycleway: Fewer people, hotels still open and welcoming, autumn colours to see, carp harvesting and the opportunity to eat them. 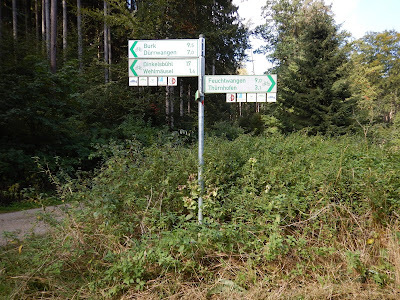 We first came across the Karpfen Radweg (Carp Cycle Trail) as we were late cycling out of Feuchtwangen to our hotel in the nearby village of Thürnhofen. "It is easy, not steep, avoids the main road and takes you right past your hotel", advised the guy in the tourist office. Since then we’ve returned many times, to walk or cycle past the many carp lakes dotted around Feuchtwangen and Dinkelsbühl. 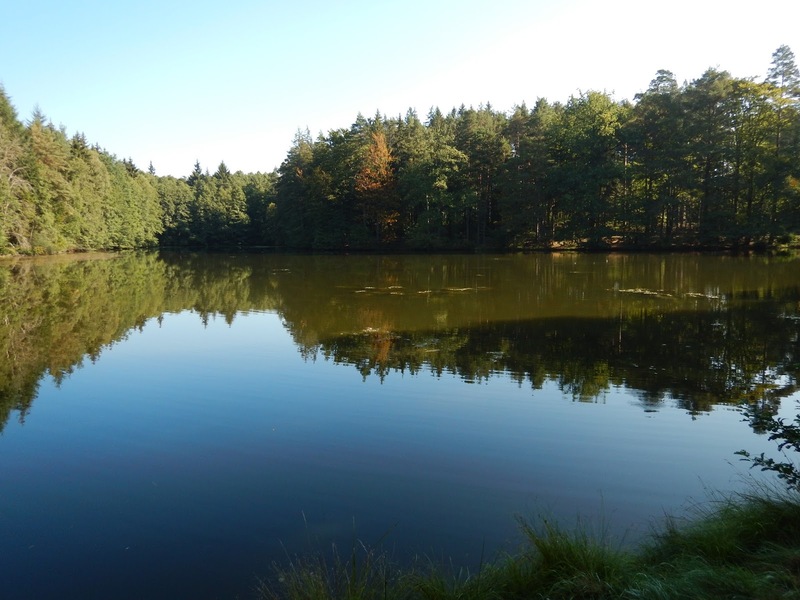 Carp ponds were a feature of local life as monasteries flourished here some 800 years ago. The monks were required to eat fish on Fridays or during fasting and as the monasteries began so towns and traders followed. It seems carp prefer to live in sluggish or dammed streams, feeding on plants, worms or crustaceans close to the mud floors. After about three years in the ponds they were big enough to harvest, by netting or draining the ponds. In early days, before refrigeration they were only eaten in certain months, after capture and being stored alive in clear running water to cleanse them. Now you can eat them at almost any season, since they can be frozen, though they still taste a bit muddy in our opinion. After the monasteries were secularised by Napoleon, many of the carp ponds probably began to silt up and disappear. However business in carp, a Christmas delicacy in many parts of Europe, now seems to be booming and the Karpfen Radweg extends from Dinkelsbühl to Erlangen some 210 km distant along river valleys and through picturesque villages and towns. En route you will find hotels and guest houses, restaurants and hundreds of carp ponds in the folds of the landscape. 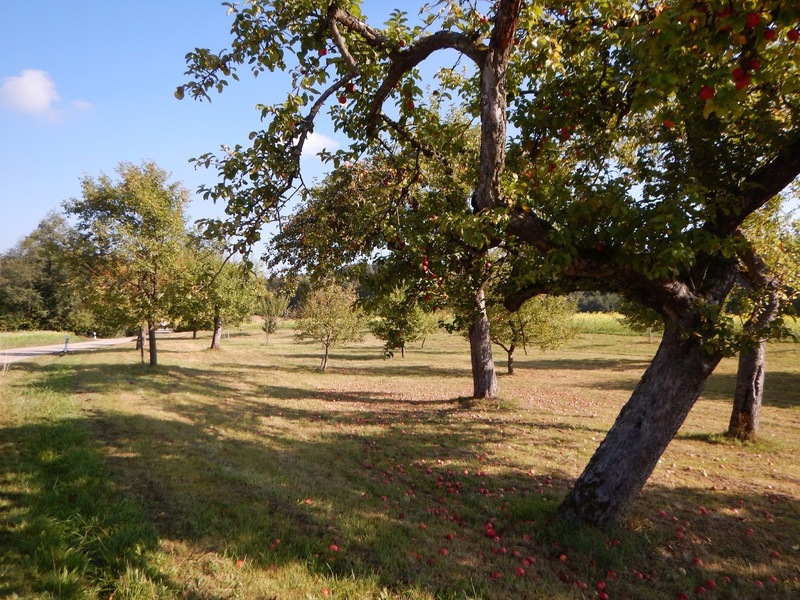 The route lies mostly on quiet roads, well signposted and past other cultural landscapes like the Obstwiesen, often ancient apple, pear and plum orchards. Go at the right time and you can gather walnuts too. This is secret, leisurely Franken, away from the madding hordes in Rothenburg ob der Tauber, across old river bridges over the Altmühl, a Danube tributary and bypassing the towers of Nürnberg. The route could be pleasantly completed in a week, and there are others following on from Nürnberg if you wish. More information is available on the Romantic Franken website: http://www.romantisches-franken.de/. Some of the pages are in German so use a translator app.